Following last year’s successful adaptation of completely redesigned iOS 7, consumers are expecting Apple to introduce such changes in the design and hardware of the iPhone too. Apple did turn the tables in 2013 with a number of changes being introduced both in software and hardware. iPad Air was introduced which was claimed to be one of the thinnest tablets available in market. This year we are seeing rumors hinting Apple aiming for even thinner design with a possibility of integrating larger battery. 2013 also saw Apple featuring Touch ID fingerprint sensor in iPhone 5s. Not only these, but Cupertino based tech giant majorly overhauled the design of iOS 7 too. Following these changes that happened in 2013, this year consumers and analysts are expecting even bigger changes especially in terms of iPhone hardware. iPhones have traditionally always been similarly designed. Twenty Fourteen might just be the year to see a larger iPhone 6 design with better touch sensitivity and according to recent rumors, a curved design. Apple has historically remained very conservative when implementing changes; it majorly believes on slowly improving its devices rather than transforming them over a single generation. However, as iOS 7 did transform Apple’s mobile OS, we could very well expect to see the same happening to iPhone this year. It has started to look like something mandatory – every year the curve is being expected from the flagship smartphones. Leaks, speculations are must to carry at least a piece every now and then hinting at the curves of any smartphone that is in the buzz during that time. Following this trend, here comes the rumors about the possibility of curves being introduced with iPhone 6 design ideology! The latest iPhone 6 design rumor comes from a Japanese blog Mac Otakara which claims that iPhone 6 design will have curved edges. The report suggests that Apple could use a curved glass on top of the display unlike the curves we saw in LG G Flex or Samsung Galaxy Round. 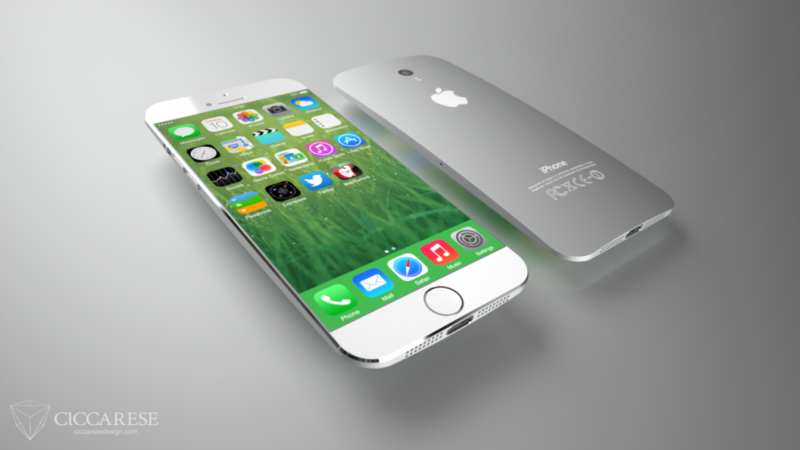 iPhone 6 design may or may not see the curves, however, many leaks suggest that Apple will launch two different variants of iPhone 6 this year with varying sizes. Apple is also expected to launch iOS 8, thinner iPad Air 2, iWatch (probably replacing iPod), and a cheaper iPhone 6c this year.